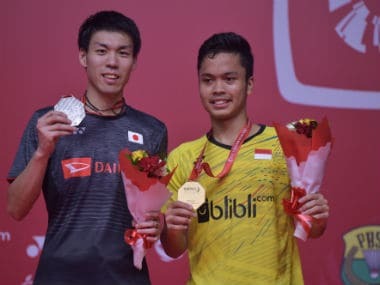 Jakarta: Indonesian shuttler Anthony Sinisuka Ginting defeated Japan's Kazumasa Sakai 21-13, 21-12 to win the Indonesian Masters badminton final on Sunday. Ginting, 21, was in commanding form in front of a boisterous home crowd at Jakarta's Istora Senayan Stadium, seizing the title after 33 minutes of play. The 27-year-old Sakai, who overcame world number one Viktor Axelsen of Denmark on his way to the final, put in a gutsy effort but was no match for the quick-footed Indonesian. "Thank God, I'm really grateful to be able to get my first title in Indonesia," Ginting said after the match. "It was a tight game early on." The result catapults the world number 16 into the top 10 in the rankings. 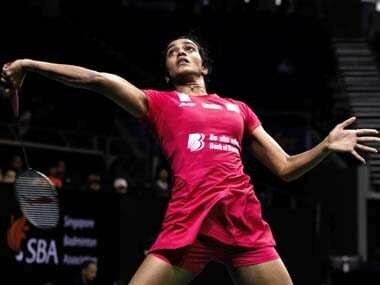 In the women's singles, world number one Tai Tzu Ying was too strong for India's Saina Nehwal. The Taiwanese shuttler – who has now won the past seven encounters between the pair – dispatched Nehwal in under 30 minutes, smashing her 21-9, 21-13. Tai, who was the crowd favourite, hopes to repeat her form in this year's marquee events. "My 2018 target is the World Championships and Asian Games because those two tournaments are the biggest," she said. China's Zheng Siwei and Huang Yaqiong defeated Indonesia's Tontowi Ahmad and Liliyana Natsir 21-14, 21-11 to claim the mixed doubles title.